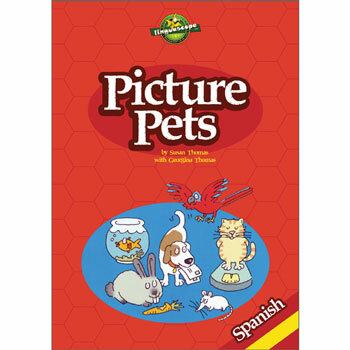 Picture Pets - Spanish is a collection of fabulous printable resources to teach common Spanish vocabulary and structures. An engaging and fun theme pack, it has been designed to capitalise on the interest that so many learners have in their pets and there are hundreds of appealing pictures, activities and games. 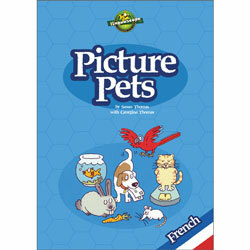 Picture Pets - Spanish has been developed for use with ages 9+ who are at a beginner to intermediate level of Spanish. It uses Castilian (European) Spanish. Please note that Picture Pets is supplied as a printable resource (PDF format) on a USB-stick. It is licensed for unlimited printing for educational purposes by the purchasing institution. Click on the image below to download sample pages from Picture Pets - Spanish.